Sport Coats, Blazers & Suit Jackets. What’s The Difference? The average man only owns 1, 2 or 3 suits and disregards the need to own a blazer or a sport coat. However, you are more than the average man and knowing the difference between these 3 pieces will keep you up to date with new styles and dress-code etiquette. There is always a need to keep up with dress-codes. Not owning at least one of these pieces will cause one to feel out of the loop with clothing etiquette and to stand out of the crowd in the wrong light in any social setting. 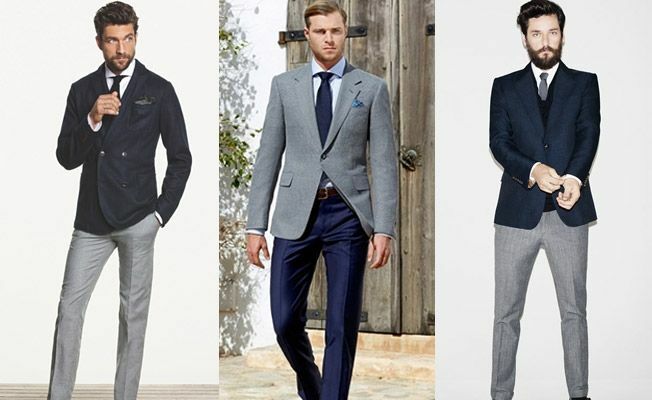 I decided to write this article to distinguish the difference between the Sports Coat, Blazer and Suit Jacket and identify the appropriate time to wear them. Let’s start with the least formal and most overlooked. They originated in England as an accessory to keep men warm as they participated in the popular past time of shooting and hunting. You will often see earlier versions of sports coats donning extra soft leather or suede on the right front chest and shoulder of the jacket for support when shooting. Most were produced from heavy twilled tweeds and earthy colours. Since then, the sport coat has adapted into a signature piece for men to keep cool in warmer climates around the world such as the Summer’s of Italy, tropical beaches of Bermuda and the scorching sunny-sun in Australia. Modern sport coats are made from lighter fabrics (linen, cotton & blends of the two), louder patterns and brighter colours to keep the wearer cool from the absorption of sun rays. You will also notice the casual details that the sport coat includes in comparison to the blazer and the suit jacket. The sport coat includes patched pockets, lighter colours, half-lining or non-lining, single breasted, casual buttons and functional sleeve buttons. When you need to look sharp but need to keep cool, the sport coat is your go to. A must have for the “smart casual” or “business casual” dress codes during the warmer seasons of Summer and Autumn. Blazers originated as a clothing piece worn by people who belonged to a society of individuals all connected with a commonality. It was first popularised by boating clubs in the 1820s and they were heavily inspired by military blazers through their distinguishable golden/silver buttons. 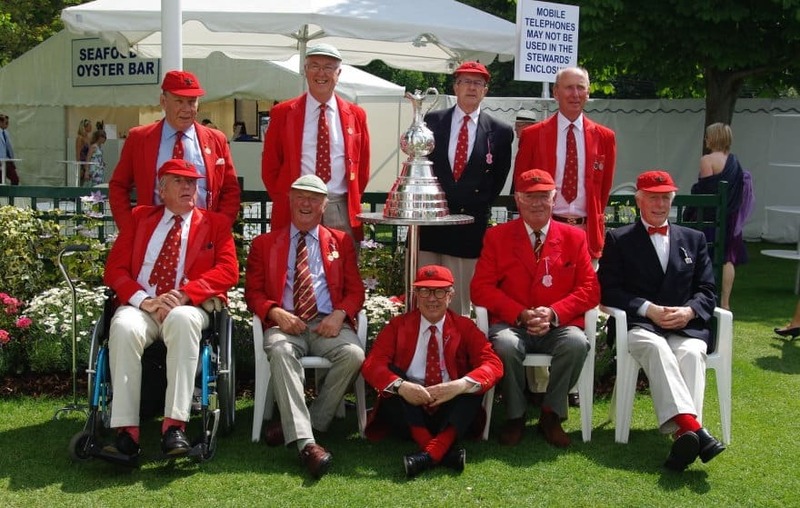 In fact, the name originated from the “bright-red” colours used by one of the first boating clubs, the Lady Margaret Boat Club. Later on, sporting clubs used them to distinguish themselves as their own teams and would often patch their crests and symbols on their breast pockets. Clubs can include; cricket, golf, boating, polo and tennis clubs. The blazer has further translated as uniforms for employees of companies and Private, Catholic and Prep Schools. The blazer is distinguishable through it’s heavier fabrics, deeper colours, crests and symbols on the breast pockets, full lining and metal buttons. The best time to don blazers are for “business casual” events that require you to represent a house or a club that you belong to. However, the modernisation of the blazer has allowed the piece to not be designed as a uniform, but now as a singular jacket to be worn in “business casual” settings. Common colours are your regular smart business hues includes lighter to darker shades of navy and charcoal. To clear things up, the “suit” is a essentially a matching pair of trousers and jacket produced from the same wool source and twill. Thus, when we’re speaking of “suit jackets” this means the singular jacket separate from the trousers. The difference between the suit jacket from the blazers and sport coats is that it’s designed for semi-formal wear. Whether it be for business or for a special occasion the suit (the jacket and trousers) are wedded together. Thus, are traditionally meant to be matched. However, you’ve probably already guessed that contemporary rule breakers have enabled men to mix and match their suit trousers and jackets. This has enabled versatility in the wardrobe and even enabled suit jackets to be considered (sometimes) as blazers. Suit jackets can be worn as blazers but not as sport coats because sport coats have less formal features as we identified earlier. As long as the suit jacket has a darker colour, no symbol or family crest on the breast pocket, is made from a heavier fabric and looks smart, it can be worn as a modern blazer. To make your suit jacket more appropriate as a blazer, you can match it with a pair of casual trousers such as slacks, chinos or denim jeans. I hope this has cleared up some confusion when deciphering the difference between the three pieces. It bugged me when I didn’t know the difference and I felt out of the loop when attending work and club functions. I sincerely hope that this has helped you guys.